Much is known of Bombay, the city of seven islands and its history; this city of scarce space provides millions with enough space to chase their dreams. Not surprising then, that the city’s spaces are the foundation for City Adrift, Naresh Fernandes’ biography on Bombay. The book is meticulously researched and written by one who has observed it with love and increasing despair and perhaps anger as well. Through space and its paucity, its blatant disregard and misuse, and efforts to reclaim it from the surrounding water – Naresh weaves the narrative of real estate in Bombay – what it represents and how it has been instrumental in changing the social and political scenario of this city. If Bombay is the city that ‘manufactures India’s dreams’, it is also the city that is a mirror to all that is good, and bad in India. India’s economic dreams have created wealth that real estate companies are cashing into in Bombay; the property narratives are all about shutting out the unwanted, and retreating into sequestered islands.The dreams have led to an astounding surge in property prices – as a result almost 48% of the living population is relegated to slums now, and even Bombay’s ghosts have been squeezed out of their haunts! Changes in land-use regulations, driven by the politician-real estate money nexus have made shared land spaces scarcer in the city. While realtors can build on grasslands, farm plots and garbage dumps, re-development has pushed out the ubiquitous ‘chawls’, older buildings and industrial estates and replaced them with shiny malls and glass towers. As playgrounds, pavements and beaches shrink, the tall walls around new apartment blocks feel out of place in a city that, despite glaring disparities, has low rates of break-ins and street crimes. The city mocks democracy by giving priority to infrastructure for private vehicles over public transport. While 7.2 million shove their way into the overburdened trains everyday, the Bandra-Worli sea-link, built at an enormous cost is used only by 40,000 vehicles. City Adrift brings to fore Bombay’s narrow mindedness that is reflected in the ghettos it is creating. While posh Gujarati apartment blocks do not allow non-vegetarians to take up residence there, other buildings do not allow Muslims to own or rent properties. Mumbra is a Muslim stronghold and Mankhurd has become the sorry warehouse for thousands displaced from their homes under the slum redevelopment projects. It is only in Bombay that a huge corporate park called Mindspace can be operational; it is built on an erstwhile coastal garbage dump, and apart from the stench, the computers in the complex crash frequently owing to the sulphuric fumes rising up from the waste below. City Adrift provides an interesting insight into Bombay politics. While all things marathi seems to be the slogan for the average person, the politician – realtor nexus is region and religion blind in their expensive projects. Thanks to Bal Thackeray’s policies, regionalisation has meant that local politicians are involved in real estate projects and are its real beneficiaries. Manohar Joshi might have been Bal Thackeray’s trusted lieutenant, but he did not want a shrine for his mentor in his sprawling over-priced Kohinoor project; while Shiv Sena, and now MNS go on a rampage destroying public property, Raj Thackeray profiteers from land sales. Perhaps Bombay’s’s spirit is the one thing defeating it now. The city that had once enticed and comprised of Armenian, Jewish, Chinese, Baha’i, Gujarati, Parsi and other communities that made it a tower of Babel and gave it the dialect that Salman Rushdie called ‘Hug-Me, is now a class act in petty politics and self-aggrandization. It is home to nine (out of fifteen) of India’s billionaires and none of them have the philanthropic leanings of those who built Bombay. The ability to stand up, shrug off problems and carry on with life are symbolic of Bombayites; add to that the view that democracy is a consumer scheme, where you demand your rights and forget the fundamental ones that is the country’s due has resulted in active disengagement with the civic and political system that was once the cornerstone of Bombay. Is it any wonder that even Bollywood is abandoning the Bombay dream now, because “Bombay has become too ugly to serve as the cradle for a fantasy”? 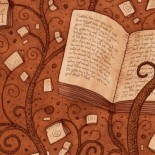 City Adrift saddened me. The idea of India was mooted in Bombay in the first meeting of the Indian National Congress in 1885, and it is almost as if the demise of Bombay’s egalitarian and generous spirit and all that Mumbai has come to signify might mark the beginning of the end of India’s unique diversity and inclusiveness. 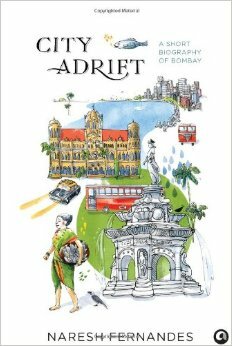 While I call the city Mumbai, after reading City Adrift, I am inclined to refer to it as Bombay again. The book reminded me why I, who has an ear for languages, steadfastly refused to learn Marathi; Shiv Sena’s hate campaign that rechristened the city also turned it from a global city into a provincial one. A lot more than land needs to be reclaimed to restore Bombay’s incredible glory. An absolute must-read – for anyone in love with Bombay or city spaces!! This entry was posted on March 17, 2015 by Preeti Singh in Book Reviews, Non Fiction and tagged biography of Bombay, city adrift, naresh fernandes.